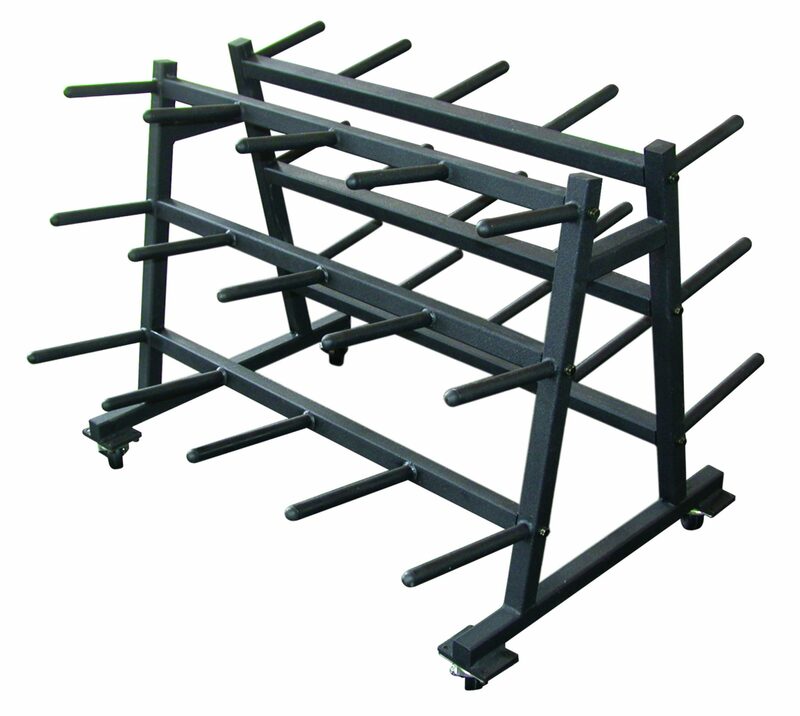 This A-frame dumbbell rack holds 6 pairs of dumbbells in an easy-to-access double sided format. 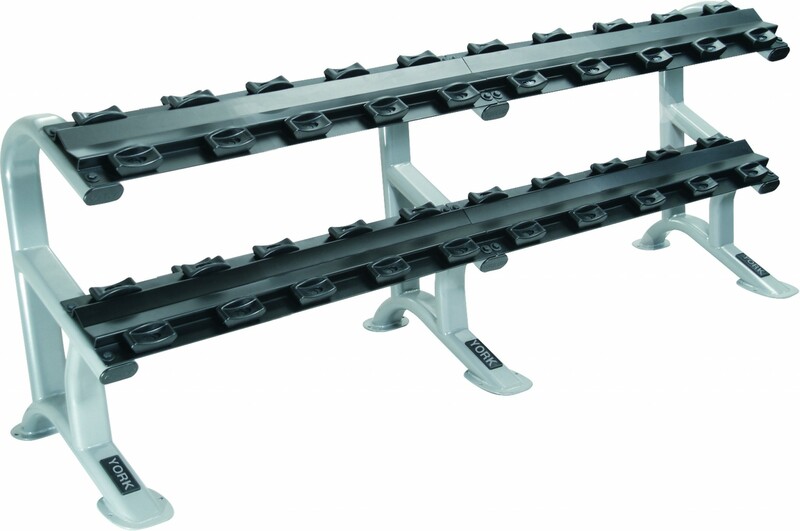 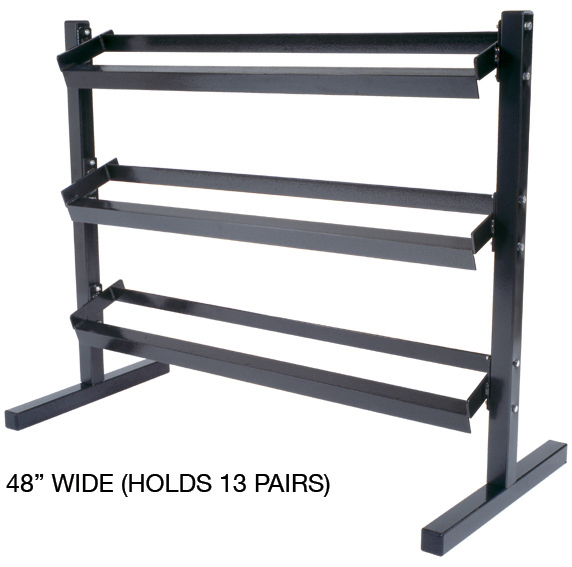 Duel stability bars and sturdy feet keep this rack from tipping. 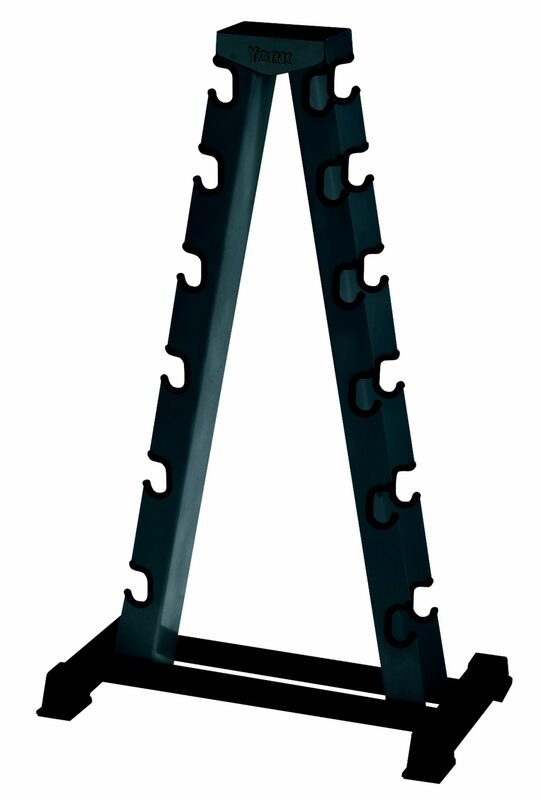 The attractive black finish complements most décor.